Choose the Right Time: When selling a traditional home, it’s assumed that selling in spring is the best time. But that may not be the case for your condo, depending on its location and why people would be interested in buying there. For example, if you own a condo in Colorado, fall or just before skiing season might be the best time. If you own a condo in a university town where football is king, buyers might be most engaged in summer just as their season tickets are arriving. Talk to local real estate pros to get an idea of the best time for moving forward. Pricing Is a Priority: Pricing should be a priority when selling real estate of all kinds, but it’s even more accentuated with a condo sale. Why? Because buyers are typically tighter on cash than otherwise. There’s also the chance that other units in your complex or neighborhood are on the market, which means your prospective buyers have other options that aren’t highly differentiated. Don’t overprice and give them the chance to try a different unit. Make Strategic Upgrades: A few small upgrades could make the difference between a fast sale and moving your condo off the market. Buyers love kitchen upgrades especially, and these upgrades need not be extravagant when selling a condo. For example, simply adding new hardwood cabinet fronts could make all the difference for an eye-grabbing presentation in the kitchen. Understand the Limitations: Your buyers are going to want to know what they can and can’t do after a purchase. So be open and honest up front about what your condo association does and does not allow. Clarify the Assets: What are buyers really getting when they consider your condo? Go big on listing out assets like extra storage, parking benefits, access to common areas and access to public areas like parks, beaches, etc. Consider an Auction: Choose to auction a condo and you may find you get the best possible return. An auction tends to go more quickly than a traditional sale, and there are fewer fees and costs associated with it — which can be just the thing to help you in your sale. Looking for condo auction tips? That’s exactly what we can provide at Fortna Auctioneers. When you’re interested in exploring a condo auction, let us be sure your source for expert guidance and service. 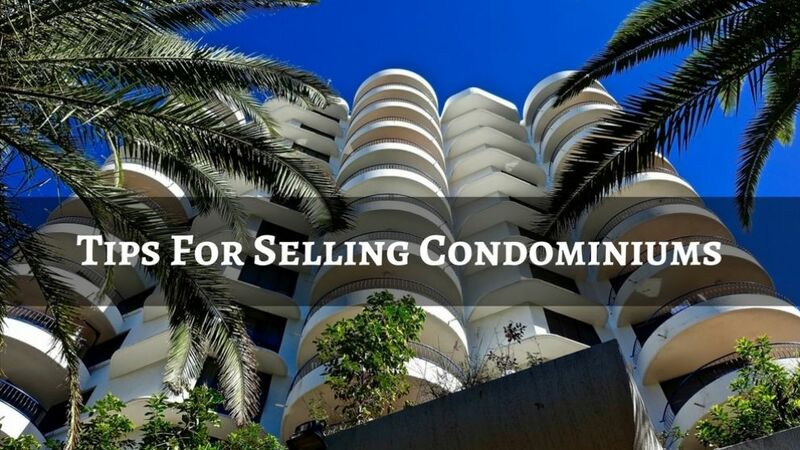 Contact us today about how to sell a condo.